You see a map that shows territory of Kazakhstan. topographic map of Zagradovka with gps calibration for you. map of Yuzhnoye calibrated for you. free map of Stepnoye 1 cm to 1 km free download. detailed map of Slavyanka with gps calibration download for free. detailed map of Podlesnoye 1 cm to 1 km for you. topographic map of Ozernoye this. interesting map of Malinovka displayed. 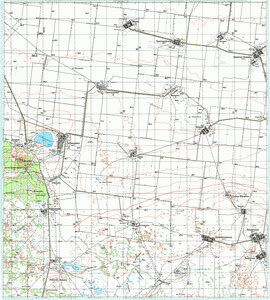 map of Letovochnoe 1 cm to 1 km download for free. map of Krasnokamenka for gps. detailed map of Krasnodol'skoye with gps calibration for gps. map of Krasnaya Polyana и OziExplorer calibration for you. interesting map of Bayskulan и OziExplorer calibration for Garmin. map of Dzhambul и OziExplorer calibration for Garmin. actual map of Rubanovka calibrated for you. interesting map of Kyzylasker here. free map of Usken with gps calibration here. map of Tonkoshurovka 1 cm to 1 km free download.